I saw a Raptor today, a 17 or 18 with the beadlock capable wheels with the bolted portion of the wheel red. Where does one get that? In the past when I have seen it done people have removed and had painted/powder coated. Here is the prior Raptor rings forsale not sure how much different 2019 rings are versus 2017-18. Last edited by BadBoy4fun_wa; 01-04-2019 at 10:34 PM. 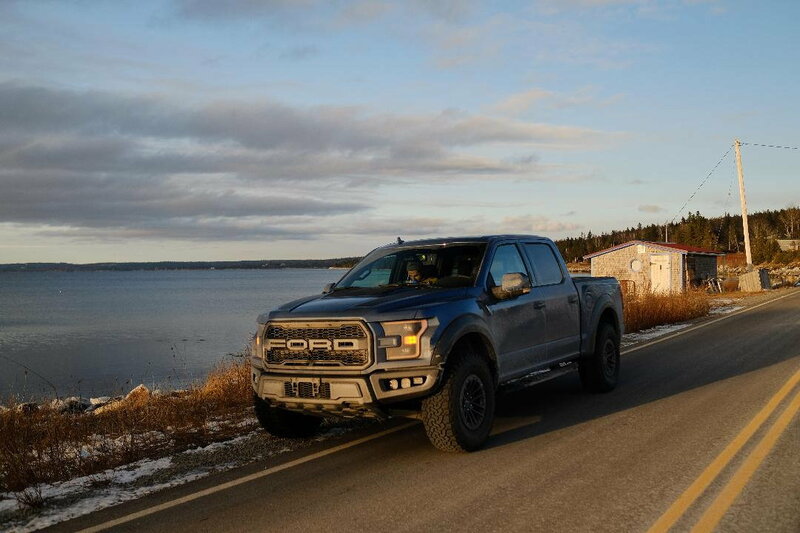 My Raptor just returned from a 2600 mile journey to and from Nova Scotia. My son borrowed it to go winter camping/hiking. He took a few pics while there. You can see the Baja Design lights I installed in my bumper cutouts. Super bright. Love them. 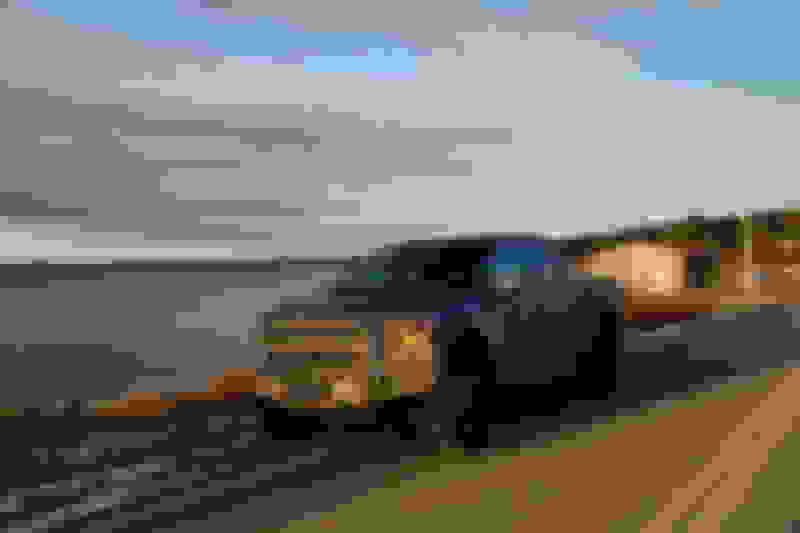 Of course, it wasn't until he returned to his apartment in NJ and parked in his small garage that he rubbed the passenger side running board against a concrete bollard leaving yellow paint down the edge of it and rubbing off the black finish in some spots. Looked on Ebay and they sell the pair for around 400 and up, but am seriously considering the Amp Research autofolding boards like I had and liked on my Platinum. i got mine through the dealer at dealer cost. The amp powerstep xl would look good - as it has an integrated custom rocker panel that adds to the looks of the raptor when board is stowed. 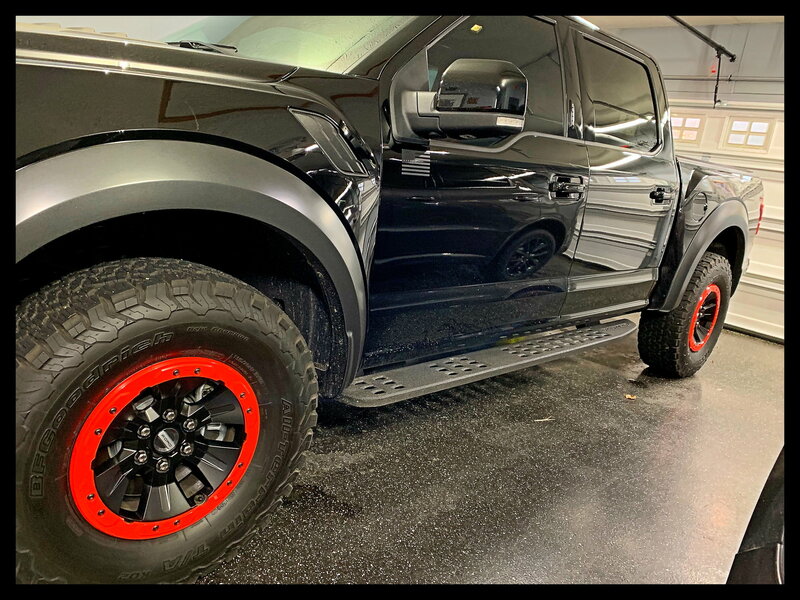 The amp powerstep xl would look good - as it has an integrated custom rocker panel that adds to the looks of the raptor when board is towed. are the factory raptor steps also meant to act as frame rails? if you mean rock rails, no. Great looking truck. I love the Blue. My last 3 trucks were White Black White. Sooo I just received my new leftover 2018 Roush F150 S.C. Race red and was almost Blue. There is a Blue Raptor in my neighborhood and it looks great. 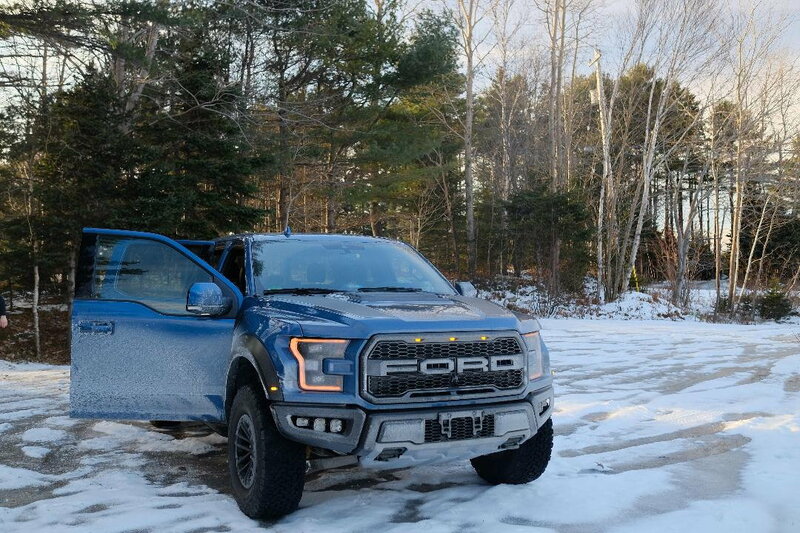 Have fun with the Raptor.